Nasa's first ever all-female spacewalk will no longer go ahead as planned because of a late change to one of the astronaut's spacesuit size requirements. "We have another medium size spacesuit segment on the station," Nasa spokeswoman, Stephanie Schierholz, said. "Anne trained in M and L and thought she could use a large but decided after Friday's spacewalk a medium fits better. 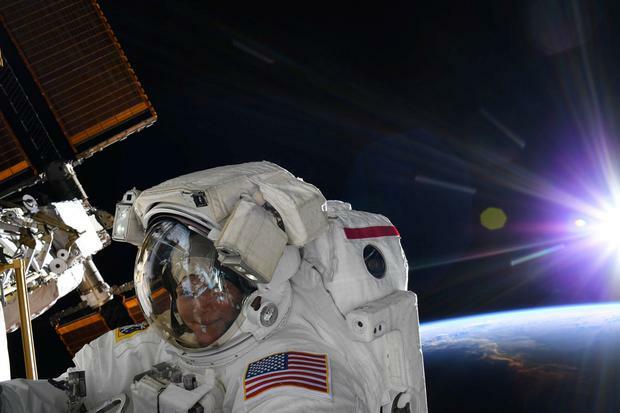 In this case, it's easier (and faster) to change spacewalkers than reconfigure the spacesuit."